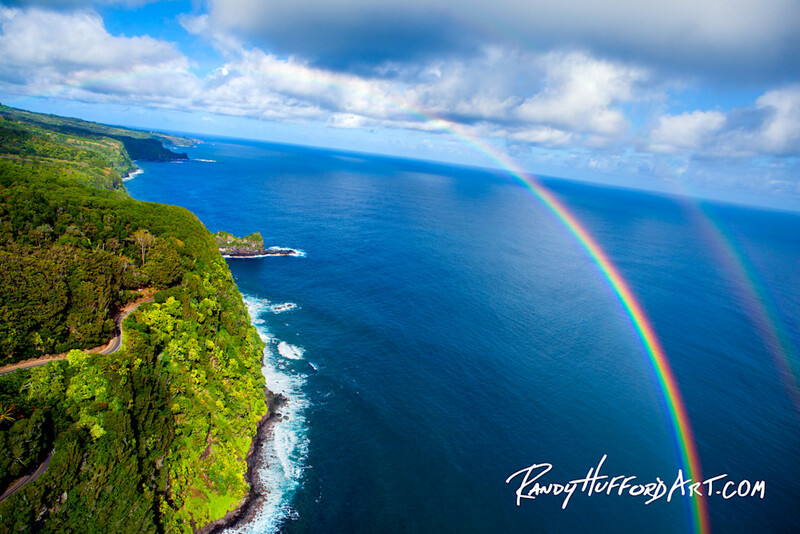 My inspiration for this image is the beauty of the Hana coastline and the experience of being in a helicopter flying thru a rainbow. My inspiration for this image is the beauty of the Hana coastline and the experience of being in a helicopter flying thru a rainbow. A rainbow is such a natural phenomenon, that takes your breath away. The second rainbow is a reflection of the first one, notice how the colors mirror the first rainbow. They are reminders of God’s promises. Like the one he made stating he would never destroy the earth again thru a flood. This image portrays all of the natural beauties of Earth that God has honored us with. It shows us that anything is possible with faith.